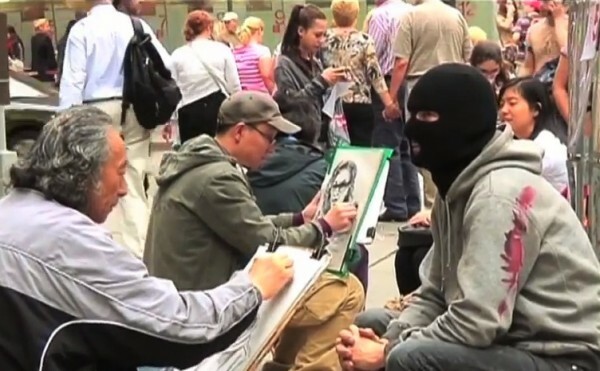 Last week, the 18th annual Webby Awards named Banksy the Person of the Year in a surprise move. Of course, the elusive street artist was not on hand to accept the distinction awarded for excellence on the internet. The honor accorded Mr. B was a testimony to how well-known his art has become and how skillfully he is able to manage his online presence. This fact along with other things were mentioned tongue-in-check in an acceptance video the Bristol bomber released about his recent “art residency” in New York City. Categories: Street & Urban Art, Videos. Tags: Banksy, Better Out Than In, Street & Urban Art, Videos.